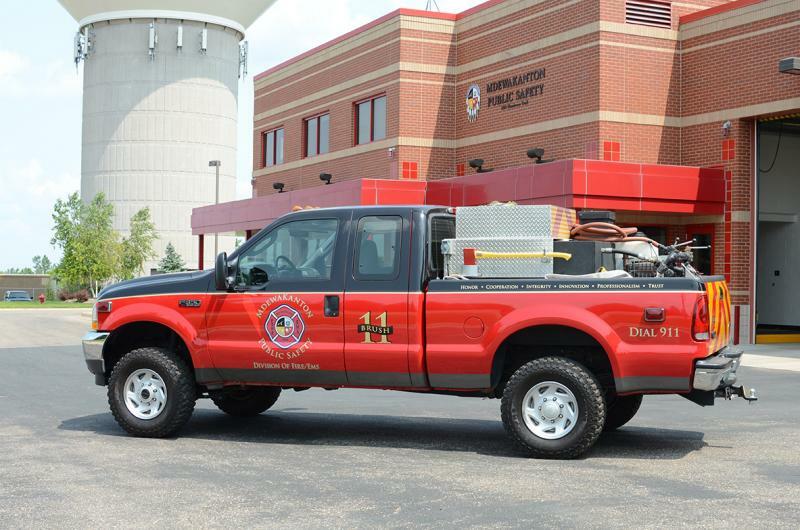 Brush 11 is a dual-use fire truck. 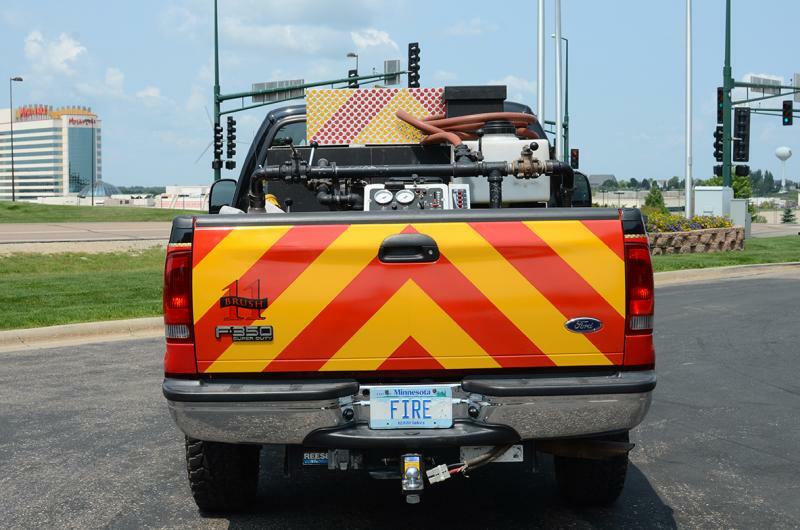 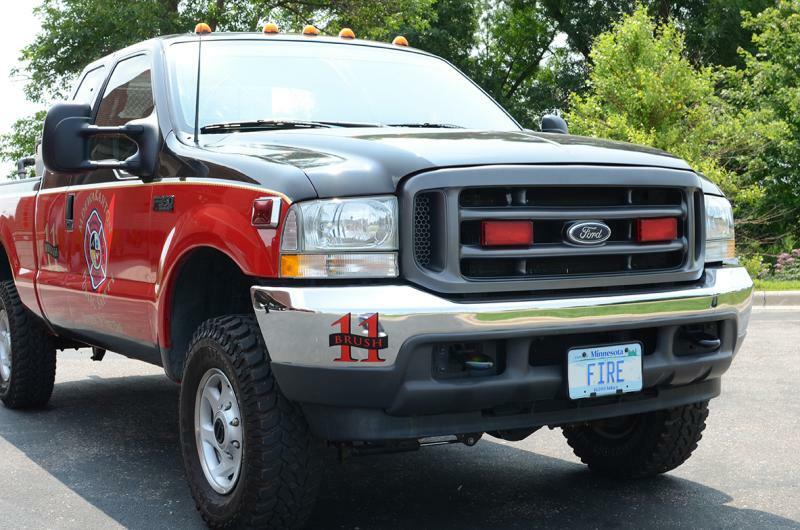 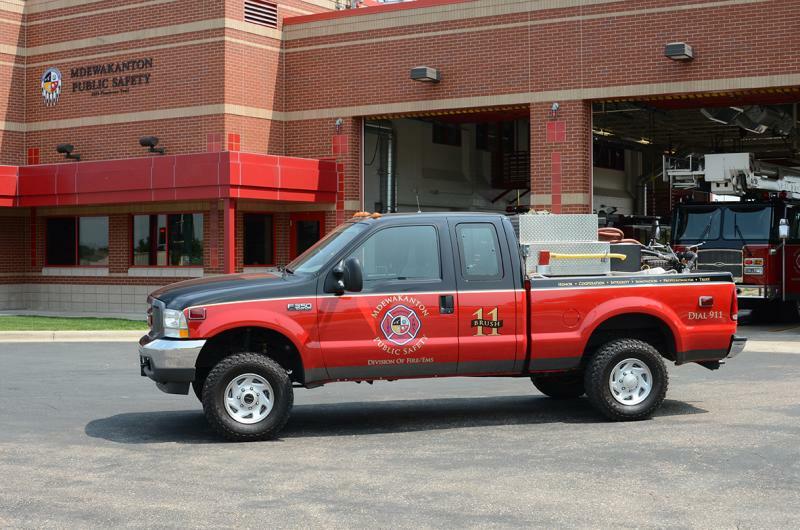 It was designed and built by Mdewakanton Public Safety personnel to fight both wild land fires (fires off-road in woodland and grasslands) and vehicle fires in parking ramps. 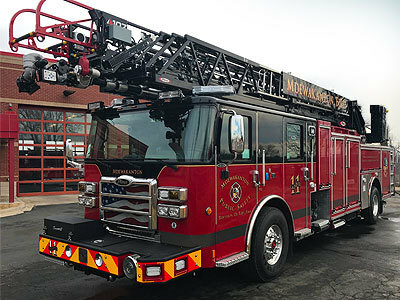 The weight and height limits of parking ramps do not allow our structural fire fighting apparatus in or on them, so there was a need for a special apparatus for this purpose. 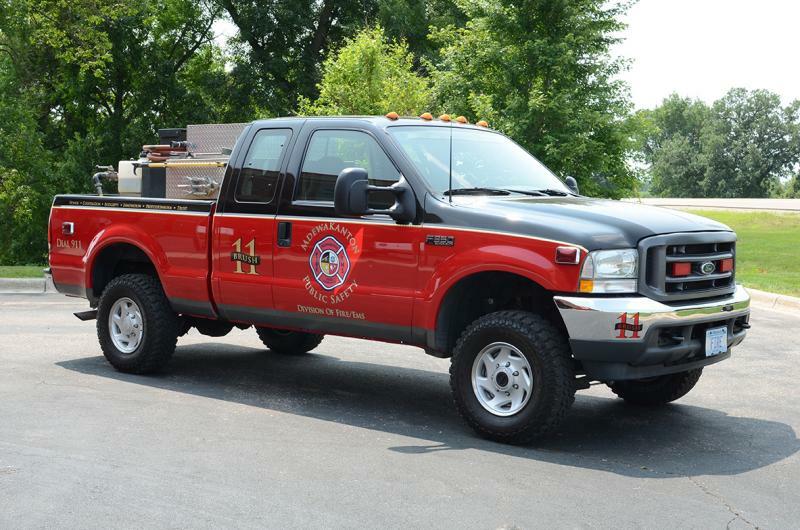 Brush 11 also meets and exceeds the federal type 6 wild land fire engine requirements. 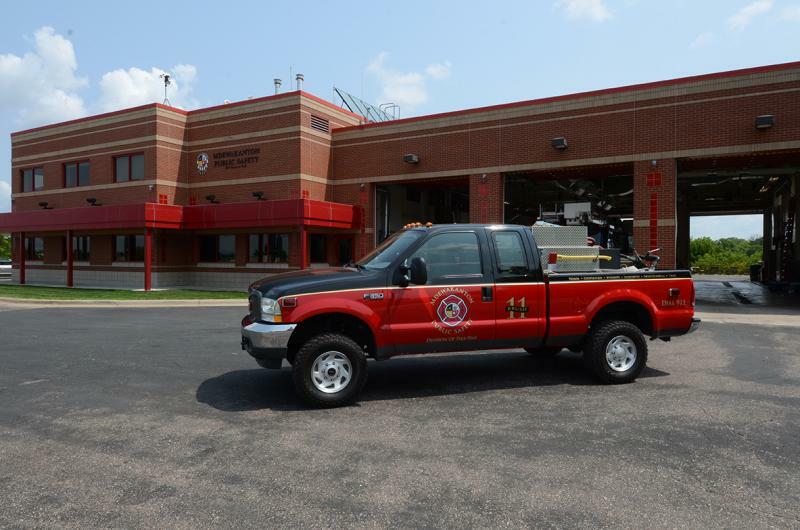 Brush 11 was the third fire truck Mdewakanton Public Safety took delivery of, and it went into service in the summer of 2003. 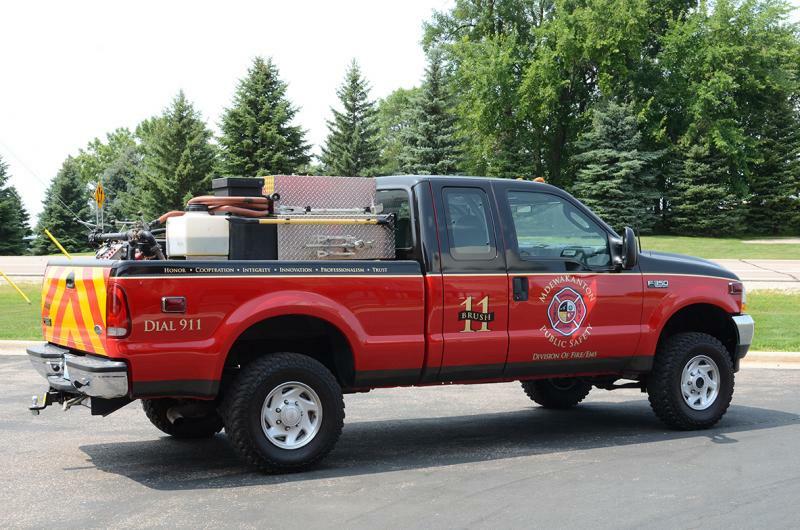 Equipment: 2 – SCBAs with an extra tank, 20 pound ABC extinguisher, BLS medical bag, AED, Wild Land and Structural fire fighting tools.